Collation: 1/c. Graphic depicting a stem of roses (?) printed in the lower right corner. 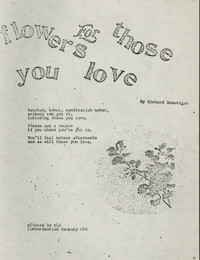 Notes: Title in block letters, in flowing arrangement. 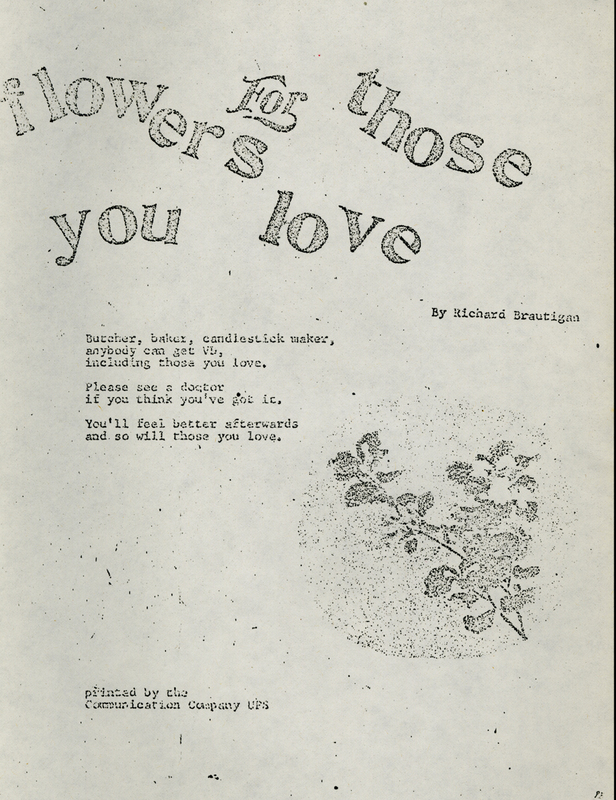 Full Text: flowers for those you love By Richard Brautigan Butcher, baker, candlestick maker, anybody can get VD, including those you love. Please see a doctor if you think you've got it. You'll feel better afterwards and so will those you love.